Attractive, sporty, and a blast to take around turns, the 2018 Subaru WRX is a car that drivers will love. It has a well-designed, roomy interior, exciting exterior features, and its engine has tons of power. The 2018 model is relatively unchanged from last year's model, which is good because the 2017 WRX was one of the best compact sports cars on the market. What makes the new WRX such a great automobile? In this 2018 Subaru WRX review Kansas drivers will see how the many great aspects of this vehicle come together to form an excellent whole. 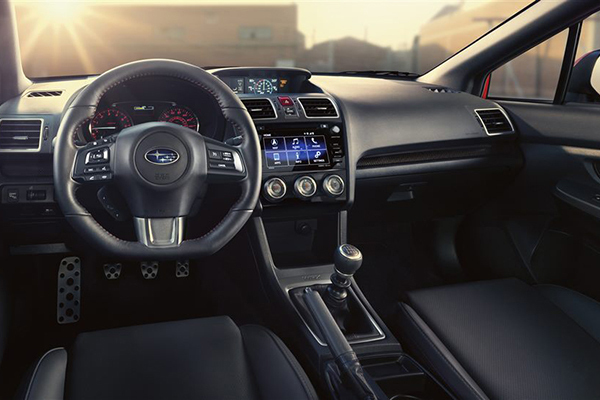 The spacious cabin of the Subaru WRX seats five adults comfortably. It has tons of headroom and foot room in both rows, and the simple, understated upholstery is quite comfortable. In the driver's seat, the gauges are cleanly laid out, and the center console is simple yet attractive. It is easy to review your speedometer, tachometer, and your radio station in just a single quick glance. The visibility in the driver's seat is excellent as well, with unobstructed sight lines in all directions. The WRX doesn't have quite as luxurious of an interior as some of its more expensive rivals, but what it does have is a clean, functional interior that no one will complain about. This is a vehicle built for performance, and its interior reflects that. It is not without its own nice touches, however, such as the standard 6.2-inch screen on its infotainment system. The Limited edition features even more luxury touches, so drivers should consider which version of the WRX fits them best. Review your needs and priorities with a quality Kansas Subaru dealership like Briggs Subaru to see which WRX fits you best. The exterior styling of the 2018 Subaru WRX immediately catches the eye. Up front, its aggressive hood scoop, angled head headlights, and low nose convey power and performance. Along its profile, daring lines and bold accents meld with the simple four-doors to imply a family sedan that has let its hair down. From the back, the taillights and optional spoiler mean that the Subaru WRX looks as good going as it did on its approach. After a thorough 2018 Subaru WRX review Kansas drivers will find it an intriguing mix of understated and bold. It looks fast, nimble, and fun. The top-end STI version adds even more great exterior features such as larger 18-inch BBS wheels and a functional spoiler. The Subaru WRX comes in four trim levels for the 2018 model year. The base model comes already equipped with a large number of great features like 17-inch wheels, a 6.2-inch touchscreen infotainment system. The mid-level Premium trim model adds 18-inch wheels and fog lights on the outside to go along with a sunroof and heated seats inside. Stepping up to the Limited trim model means getting an 8-way power driver's seat, keyless ignition, and leather-trimmed upholstery to go along with all the great features of the base and Premium models. Buyers of the Limited model can also opt for the great Subaru EyeSight safety system that includes collision mitigation, automatic emergency braking and more. The top-end STI model is a true performance car, with a larger engine, stronger brakes, a stiffer suspension and excellent exterior features. The best way to determine which trim model is best for you is to speak with a quality Kansas Subaru dealership like Briggs Subaru, where they can recommend what vehicle fits you best. The engine and transmission of the WRX are one of its highlights. Reading any 2018 Subaru WRX review Kansas drivers will see that both the 2.0-liter and the 2.5-liter engines offered in the WRX are among the best available in their market segment. 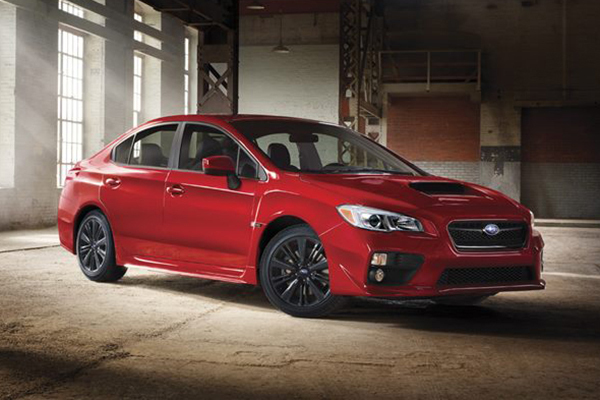 The base WRX comes with a 2.0-liter turbocharged four-cylinder engine that puts out a robust 268 hp and 258 lb-ft of torque. This translates to a 0-60 mph time of just 5.4 seconds, which means that both from a stop and when merging onto the highway, the WRX will have plenty of power when you need it. The WRX STI has an even larger, more powerful engine, a 2.5-liter turbocharged four-cylinder rated at 305 hp and 290 lb-ft of torque. This performance powerplant will rocket the STI from 0-60 mph in just under 5.0 seconds, a truly fast and exciting time. Both engines are available with either a six-speed manual or a paddle shifter-equipped CVT transmission. 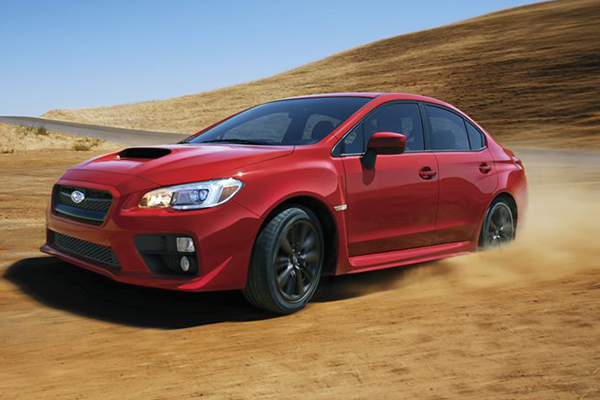 Both versions shift extremely smoothly and translate the WRX's ample power into a satisfying driving experience. The 2018 Subaru WRX has some great safety features, both equipped standard and as exciting available options. All models come with full front and side airbags along with an additional driver knee airbag. All models also come with a rear-facing camera to increase safety and visibility. The Subaru EyeSight package, available on the Limited models, adds high-tech features like pre-collision braking to make the vehicle even safer. The 2017 WRX received IIHS Top Safety Pick award, and though the 2018 model is awaiting its review, it will likely receive the same honor. The 2018 Subaru WRX is a great choice for any driver. It has the whole package: looks, features, and power. It is not only a sports car, but also one that performs excellently in daily driving, utility driving, and long-distance driving. Check with a quality Kansas Subaru dealership, like Briggs Subaru, to learn more about the new WRX, and see why it is such a great automobile.